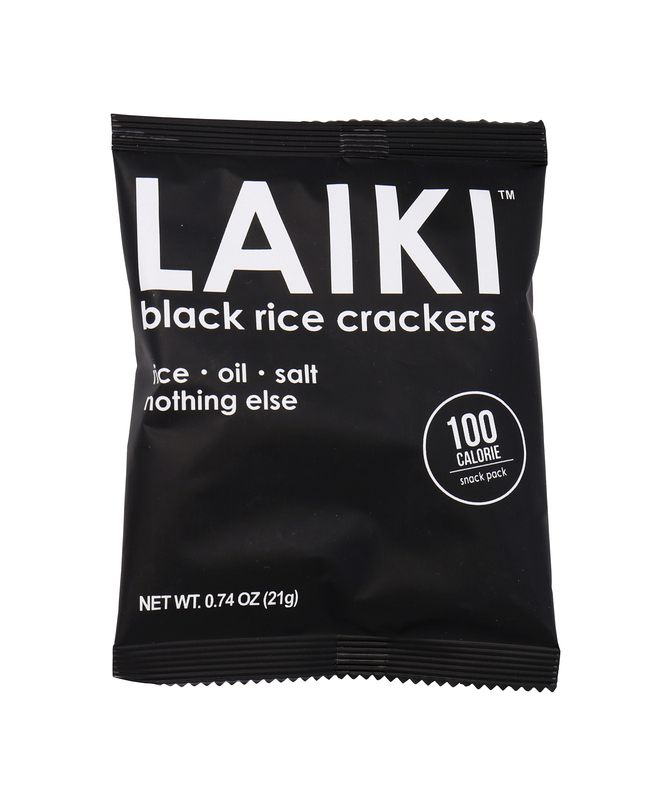 Rice- Oil- Salt - Nothing else! 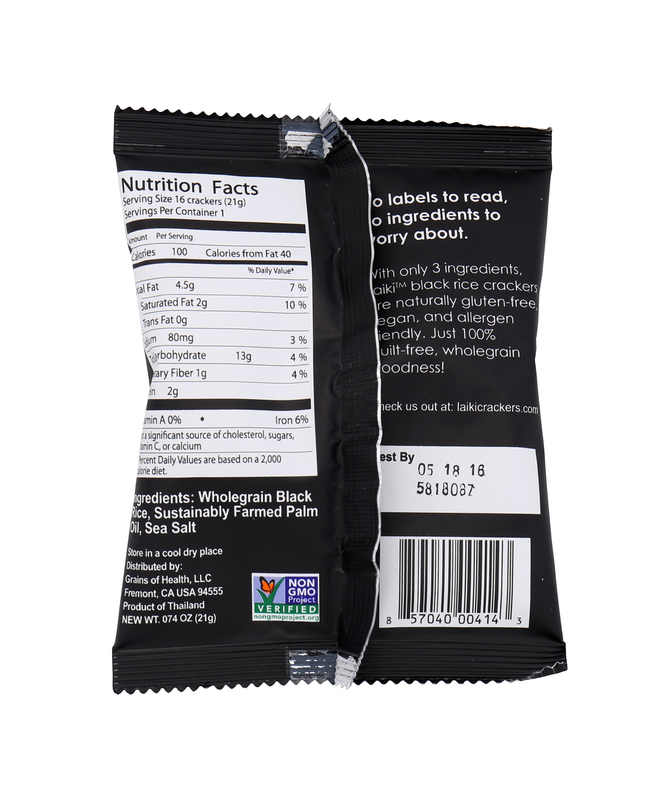 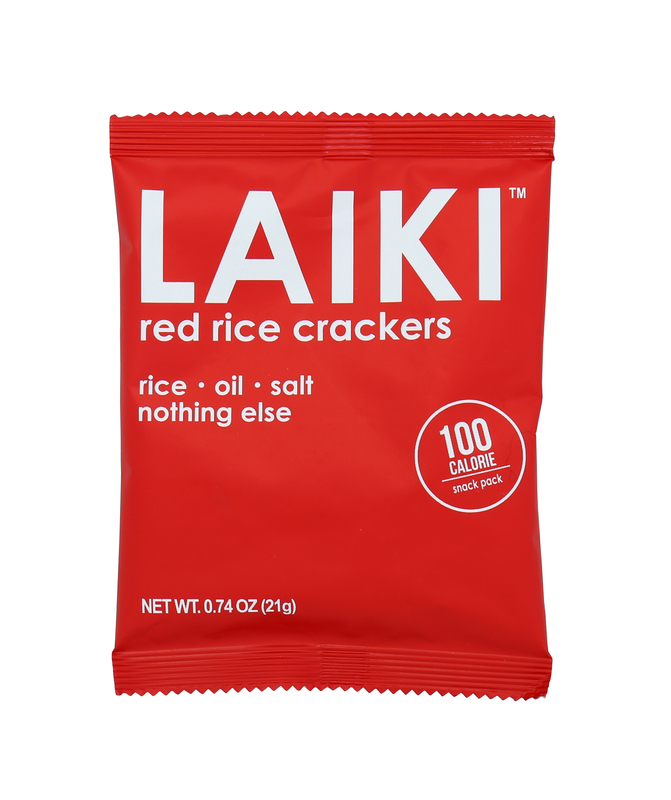 Snacking should be simple. 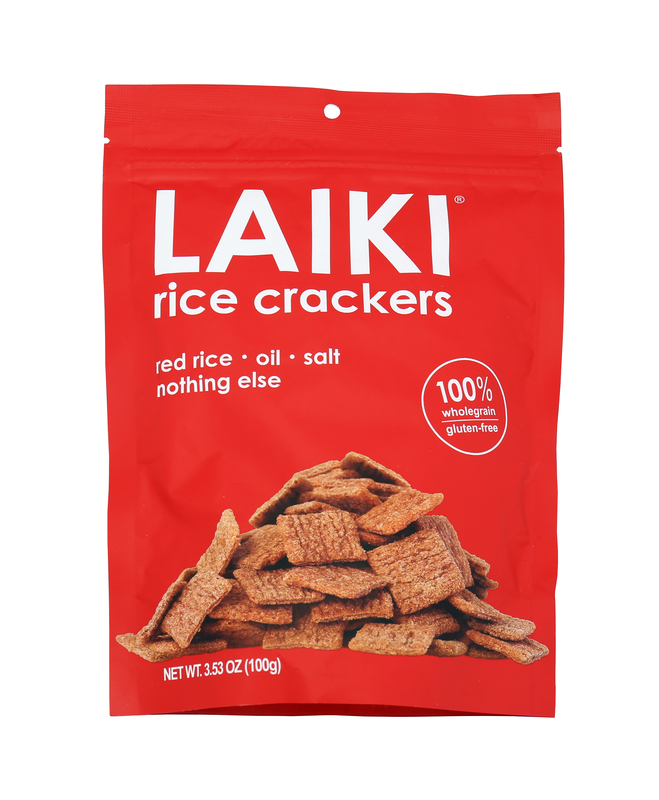 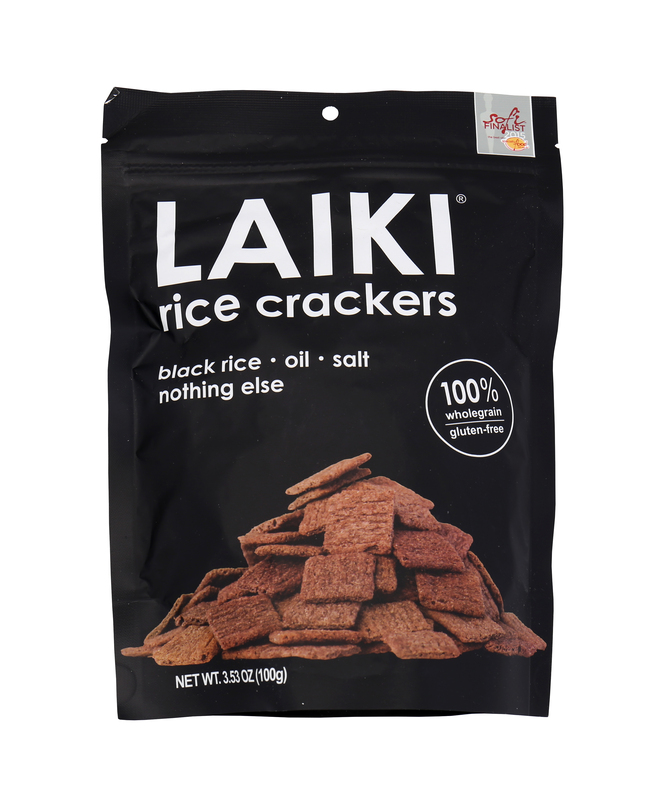 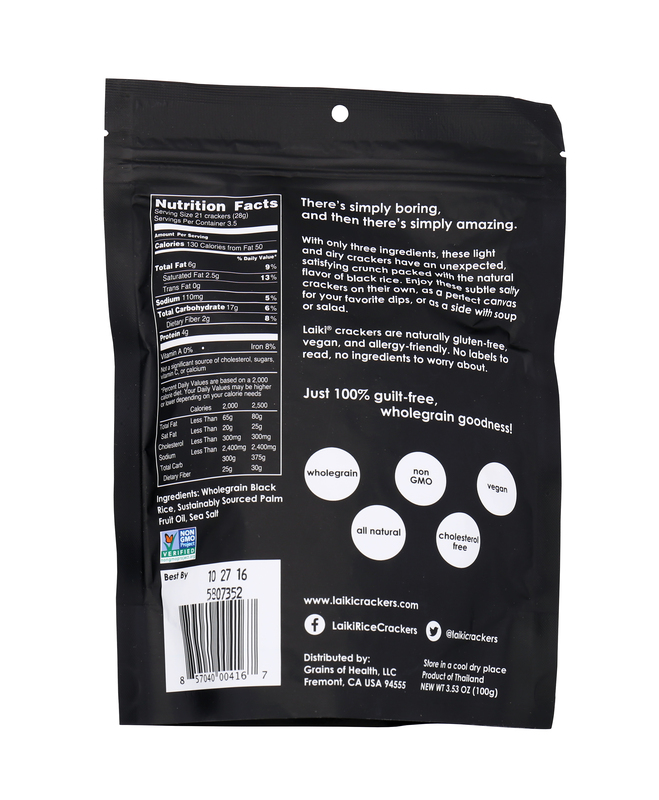 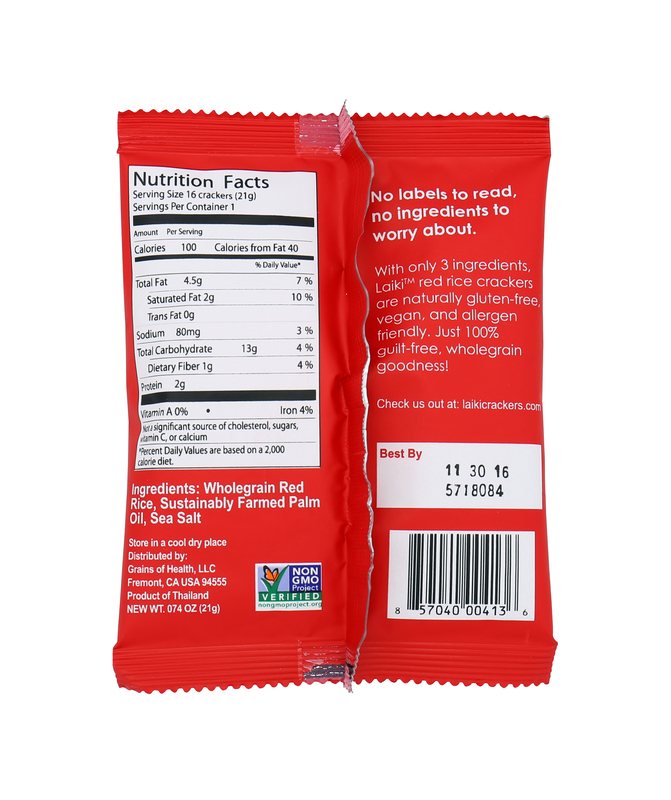 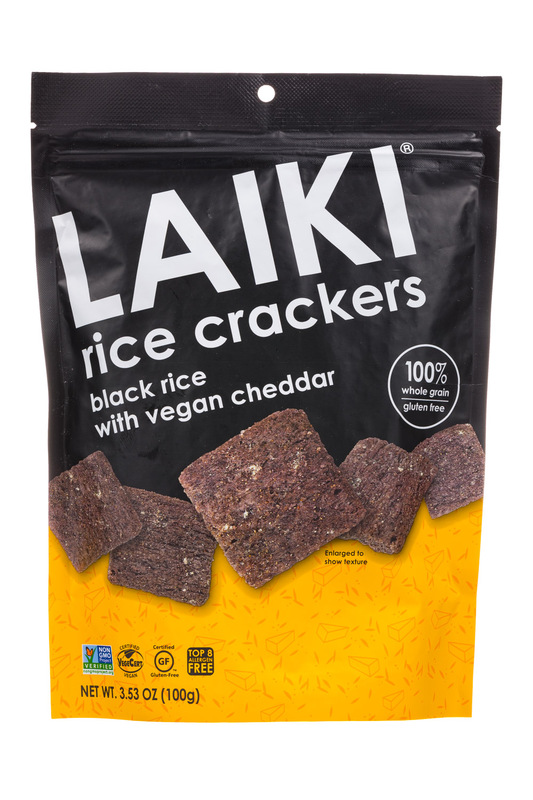 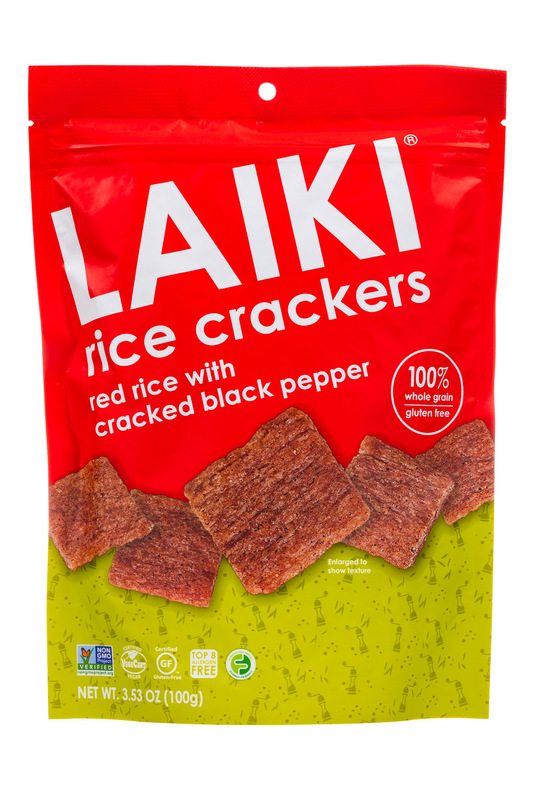 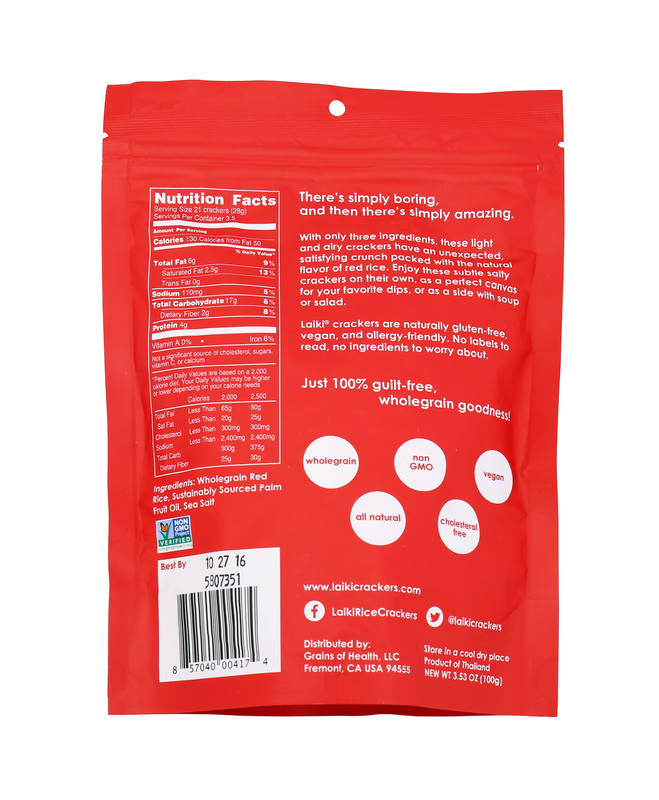 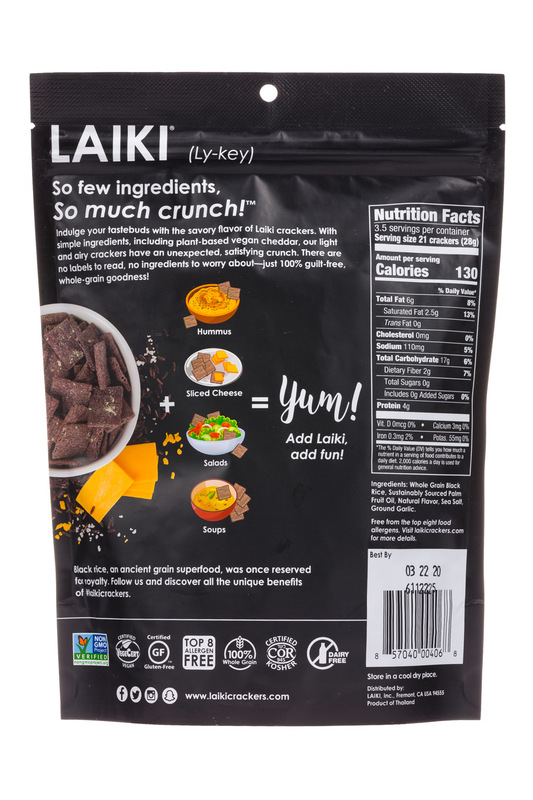 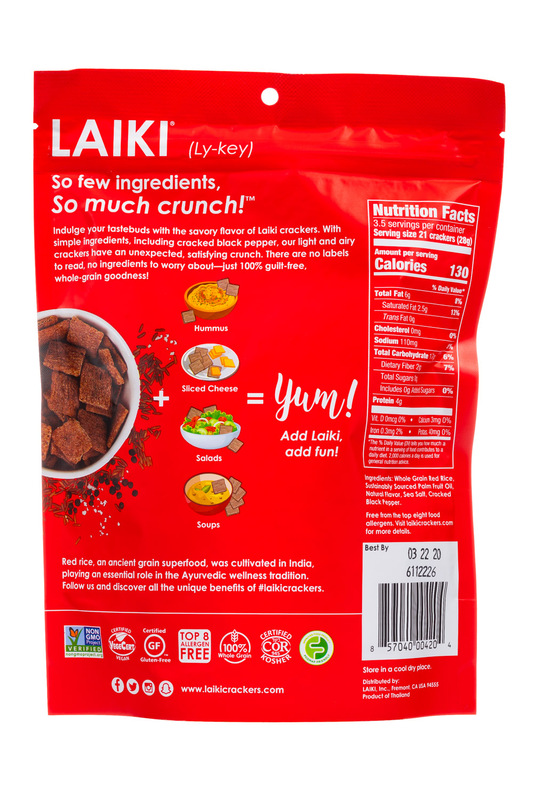 Buy us online http://www.laikicrackers.com/buy As featured in: Berkeley Student Food Collective Love with Food Co-Ed Supply Buyer's Best Friend Cuisine Cube Foodstuffs Blissmo Healthy surprise Formerly Grains of Wellness Rice Crackers.